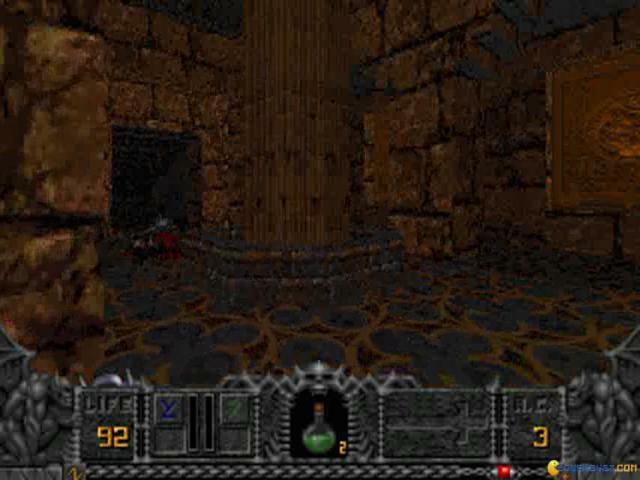 The original Hexen, to which this is an official expansion, is a fantasy first-person shooter which itself the follow-up to Heretic, and which stands as an exciting mix of Doom-style action with a few light RPG overtones. 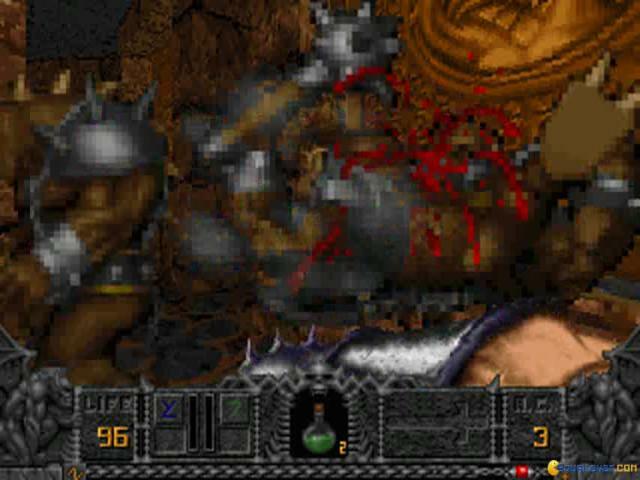 This expansion carries on the dark and forbidding tale of its predecessor and sees players transported the land of the dead where they must seek out and destroy the titular Death Kings. 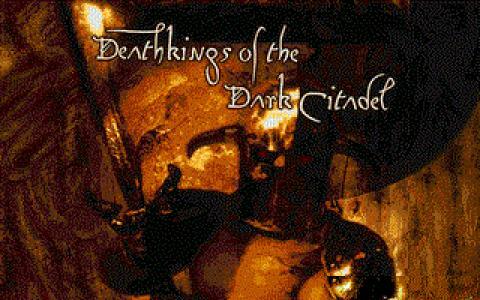 The original was more than just another Doom clone and which introduced ideas like a hub-based episode system as well as puzzles, destructible environments, jumping and the like, and as long as you enjoyed that game, then Deathkings of the Dark Citadel will be right up your alley. 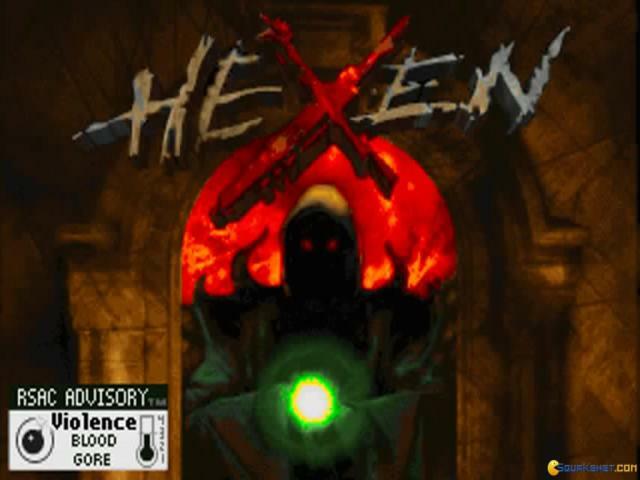 It provides more of the same intense action, over the course of twenty all-new single player levels which expand upon the already intriguing world of Hexen. 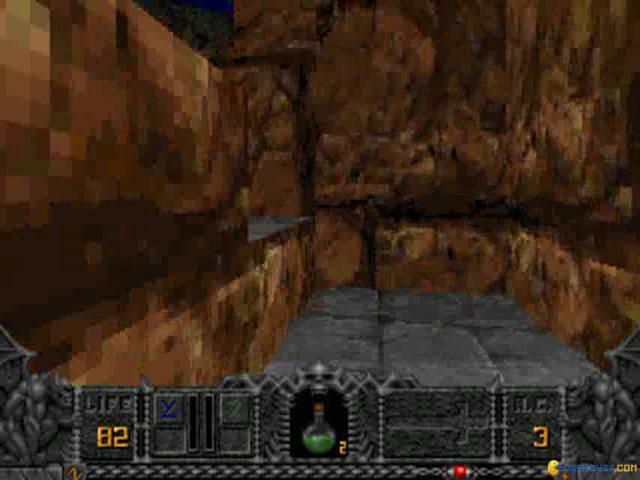 However, apart from these new levels there isn't a whole load of other extra content, with only some new deathmatch arenas to enjoy, and there are no new weapons or enemies to be found here. 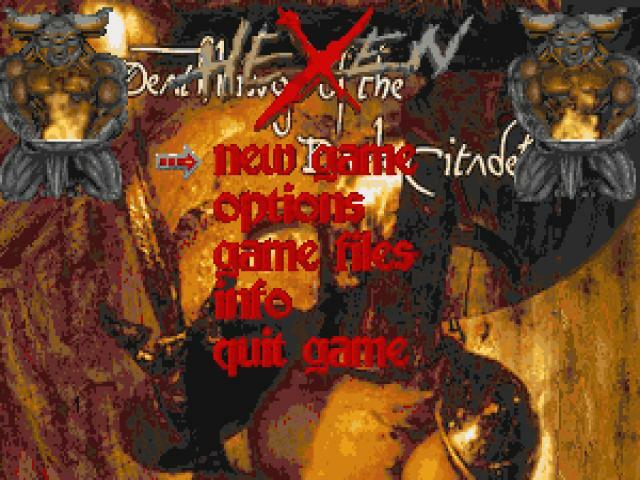 This is a tad disappointing but as the twenty levels are pretty substantial, Hexen fans aren't likely to be shedding too many tears. 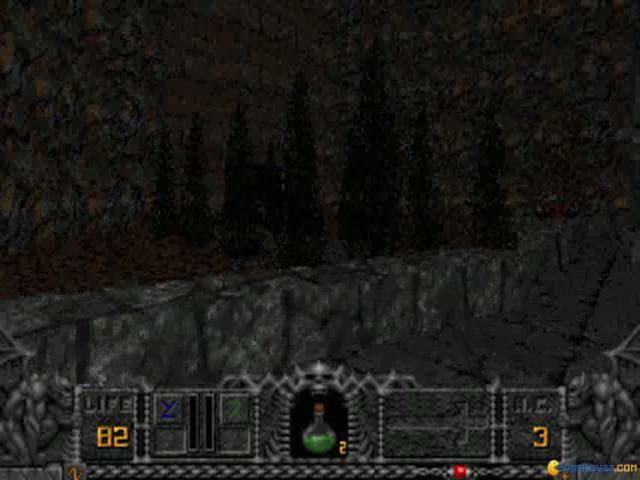 The levels are generally well designed and certainly maintain the brooding atmosphere that followers of the series expect and there are plenty of imaginative environments to explore here. 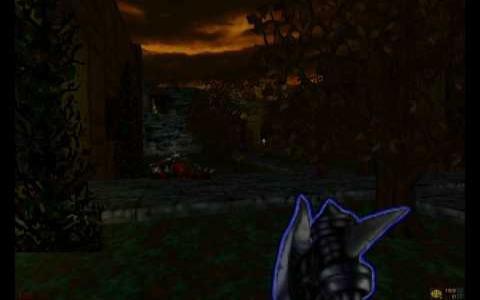 The visuals are up to the same kind of standard, being chunky and colourful and while the textures might leave a little to be desired, it does add somewhat to the game's old-school charm. 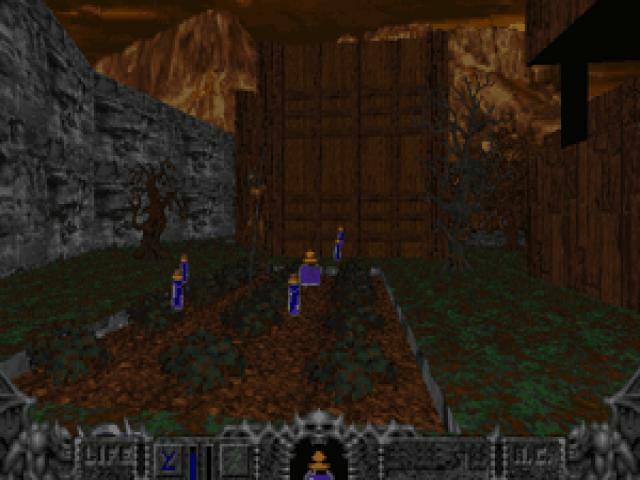 Hexen fans will lap this up but others are advised to go back to Heretic and start at the beginning, as that way you'll get a whole lot more out of the series. 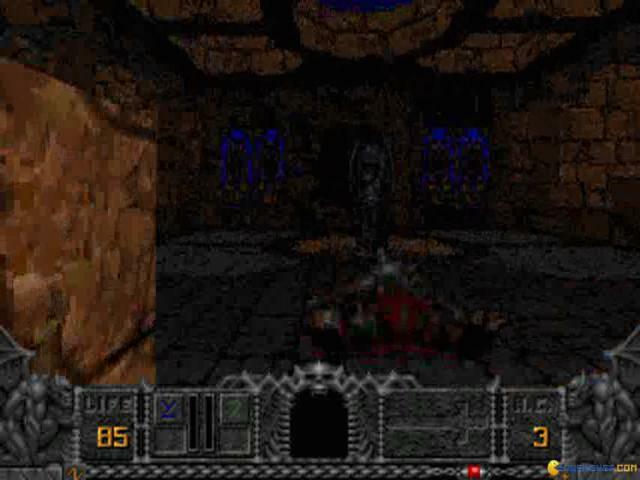 Another one at the table of true 3D greats! 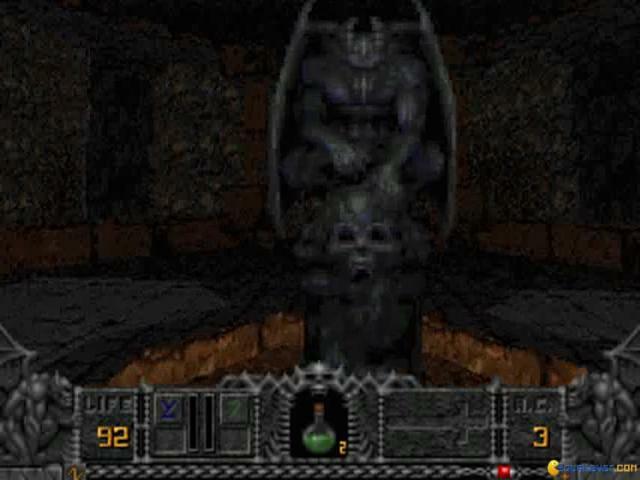 Hexen: Deathkings of the Dark Citadel expands the world of the original Hexen, adding even more content to a game that continued on the path of Quake, bringing the dark fantasy theme (and a few RPG elements, for good measure) to the first person shooting revolution. 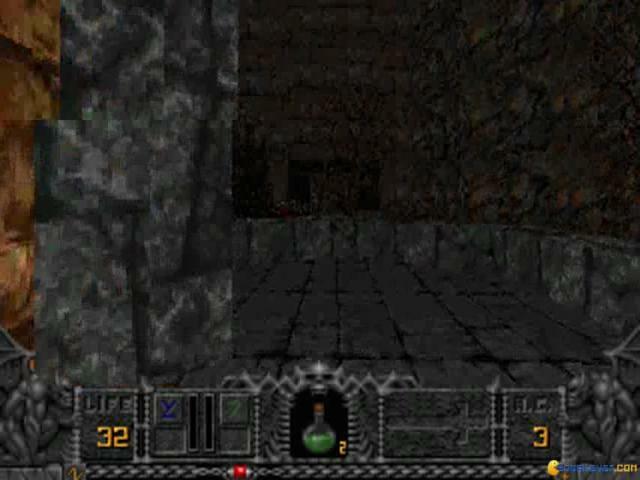 Yeah, Doom had already laid the stones of progress, but Hexen and the like took them and expanded the genre, and showed that this was the future. 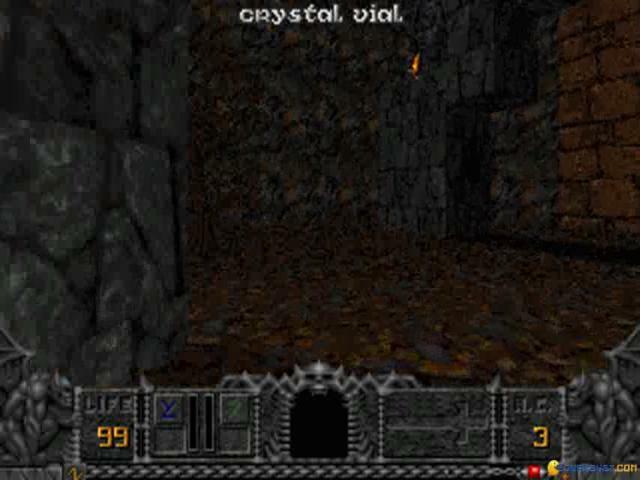 Gaming in first person, running about in underground caves (and here and there through small outside world spaces) an generally being engaged in combat while looking for upgrades, health packs (and the exit!) 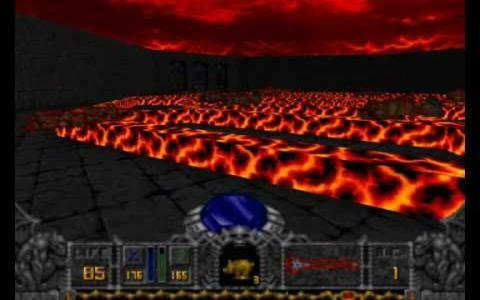 was all that was needed to engage the gamers. 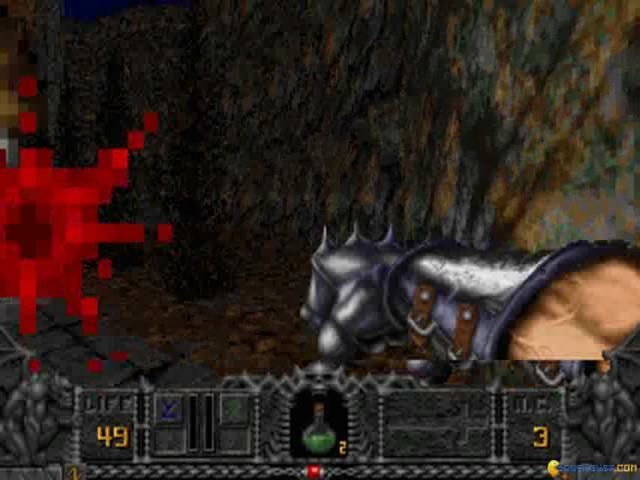 Not much has changed at the core of the genre that this game here is a part of. 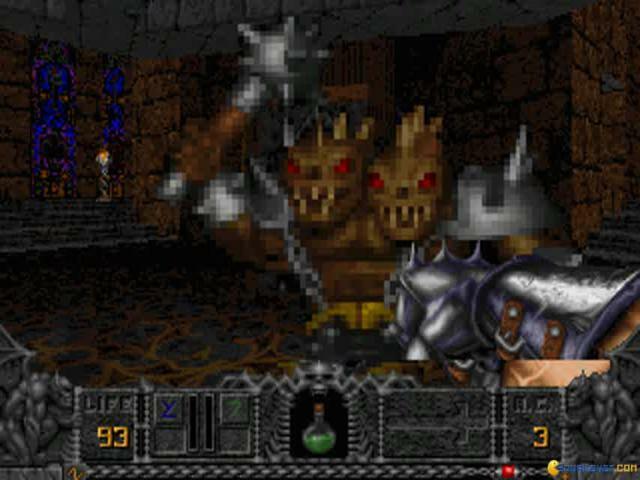 Yeah, games have become increasingly more graphically endowed, but the roots are deeply entwined with an entire generation of games. 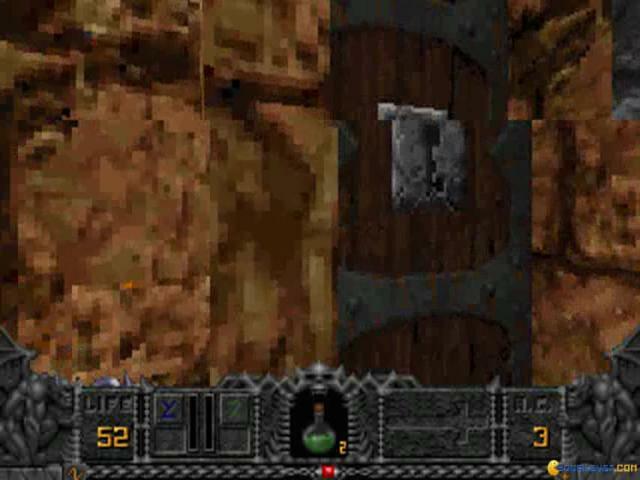 And that can be reason enough to give Hexen: Deathkings of the Dark Citadel a go as well, besides being a much more playable episode than the original.